Hidden Colours is Finally Here! 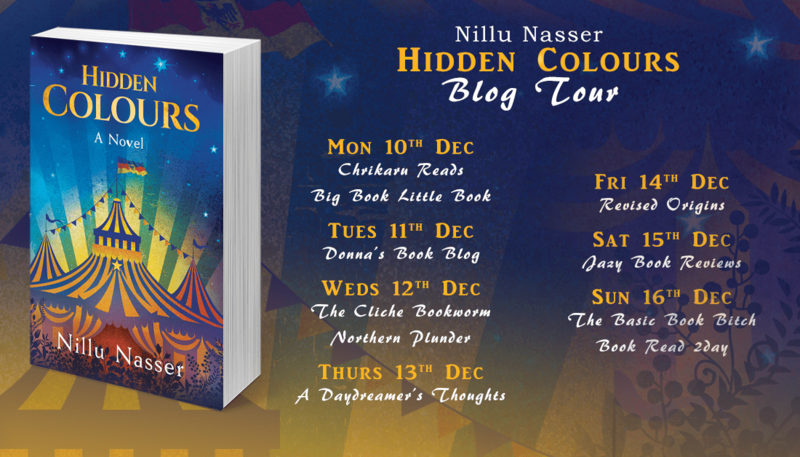 Today, there’s a bottle of red wine at the ready on my counter because I’m celebrating the launch of Hidden Colours, my book about an imaginary immigrant circus in Berlin. Yusuf’s story is about compassion and grief, and how a little kindness can have a big impact. What a whirlwind it has been writing this novel and putting it out into this world. After a few weeks of weight on my shoulders, I’m so glad and proud to see Hidden Colours leave the nest (or my desk!). I couldn’t have done it without the magnificent team at Evolved Publishing, especially my editor Jess West. Fall in love with the magic of the circus. Walk the path of the acrobats and the clowns. And never be the same again. Please also join me to celebrate at the online launch party on 6 December for a whole host of prizes including signed books and a MasterCard All Access Annual Pass! I’ll also be taking part in a blog tour over the next couple of weeks, which I am really looking forward to. I hope you’ll help this story find its wings, and share it with other readers if you like it.